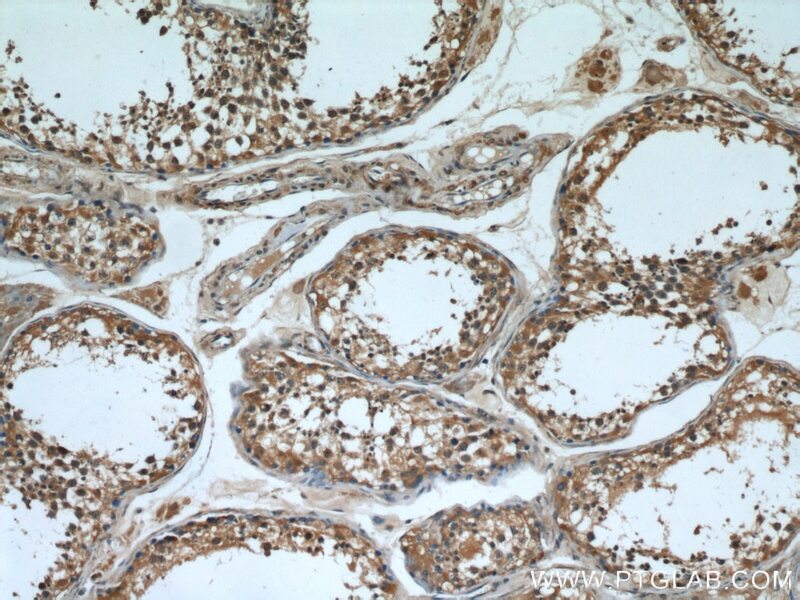 IP Result of anti-CPT1C-specific (IP:12969-1-AP, 5ug; Detection:12969-1-AP 1:500) with mouse testis tissue lysate 8000ug. 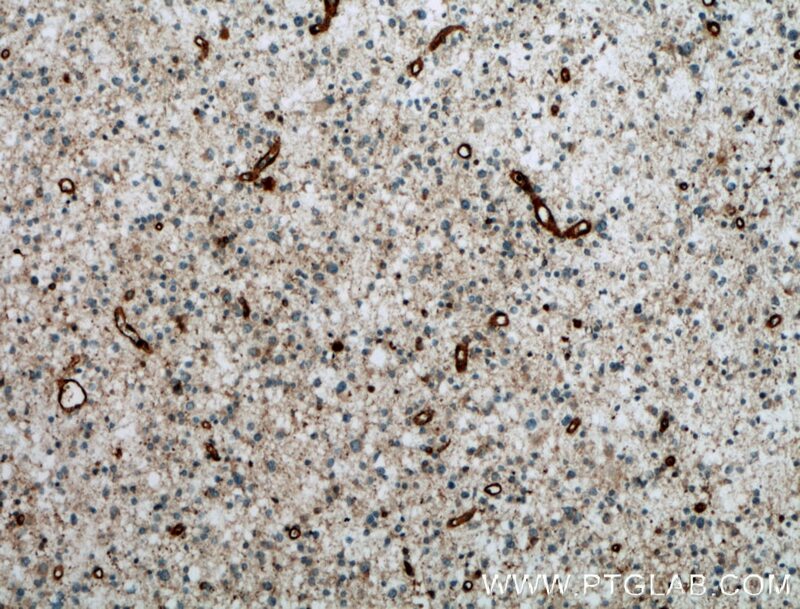 Immunohistochemical analysis of paraffin-embedded human gliomas tissue slide using 12969-1-AP( CPT1C-specific antibody) at dilution of 1:200 (under 10x lens) heat mediated antigen retrieved with Tris-EDTA buffer(pH9). 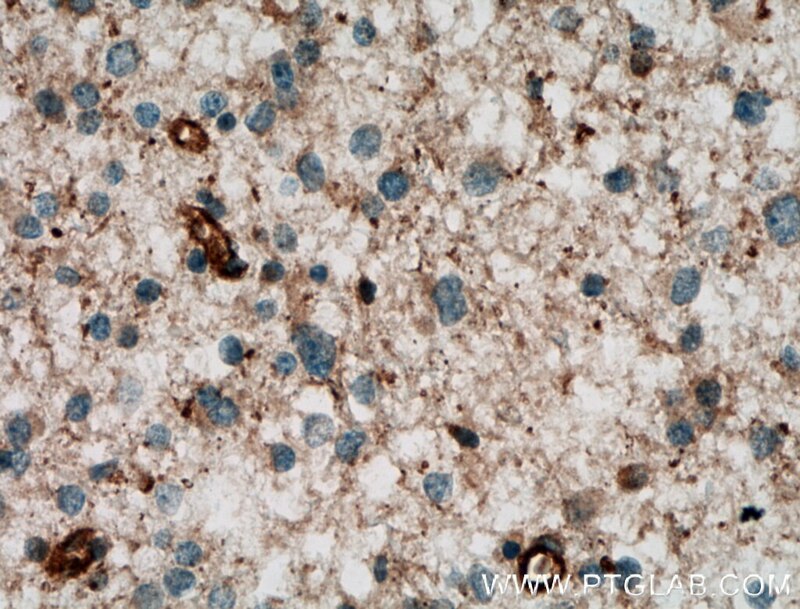 Immunohistochemical analysis of paraffin-embedded human gliomas tissue slide using 12969-1-AP( CPT1C-specific antibody) at dilution of 1:200 (under 40x lens) heat mediated antigen retrieved with Tris-EDTA buffer(pH9). 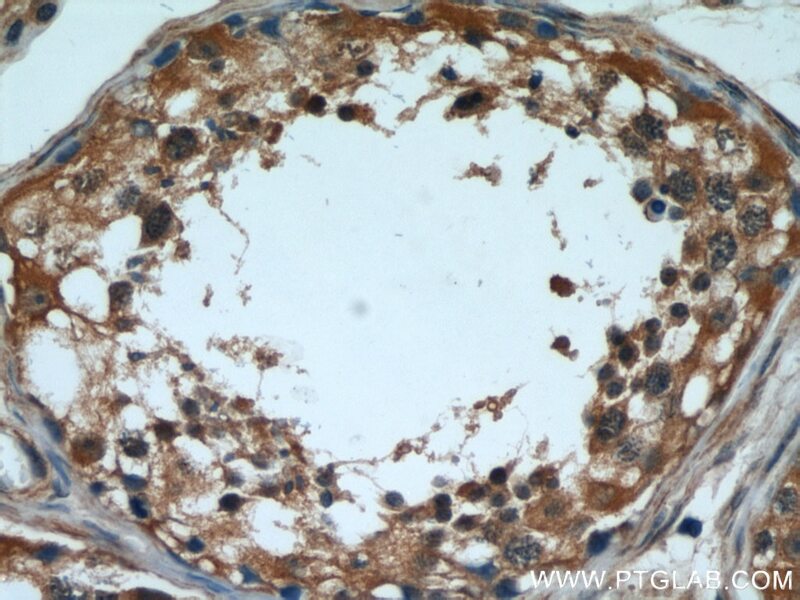 CPT1C, also named as CATL1, CPTI-B and B-CPTI, belongs to the carnitine/choline acetyltransferase family. Carnitine palmitoyltransferase (CPT) deficiencies are common disorders of mitochondrial fatty acid oxidation. The CPT system is made up of two separate proteins located in the outer (CPT1) and inner (CPT2) mitochondrial membranes. 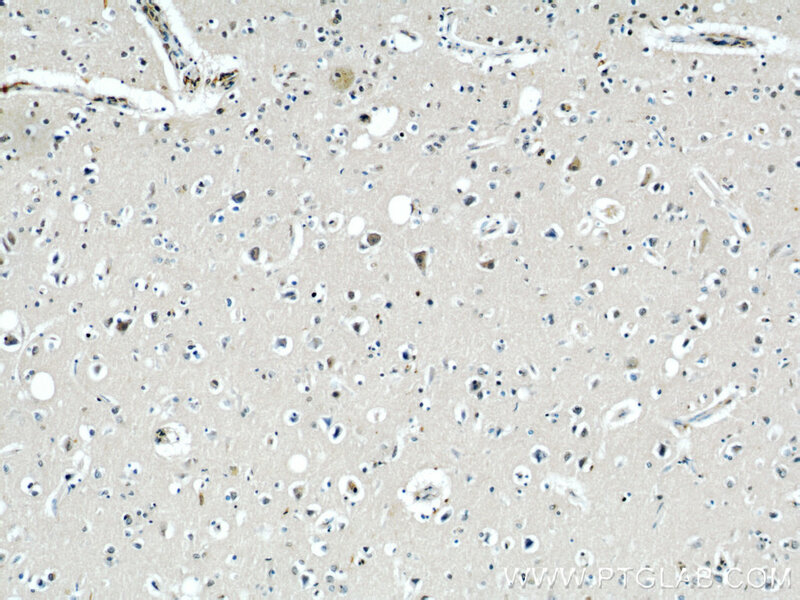 CPT1C is an active forms of related brain-type carnitine palmitoyltransferase I. CPT1C may be a regulated target of malonyl-CoA that relays the “malonyl-CoA signal” in hypothalamic neurons that express the orexigenic and anorexigenic neuropeptides that regulate food intake and peripheral energy expenditure. 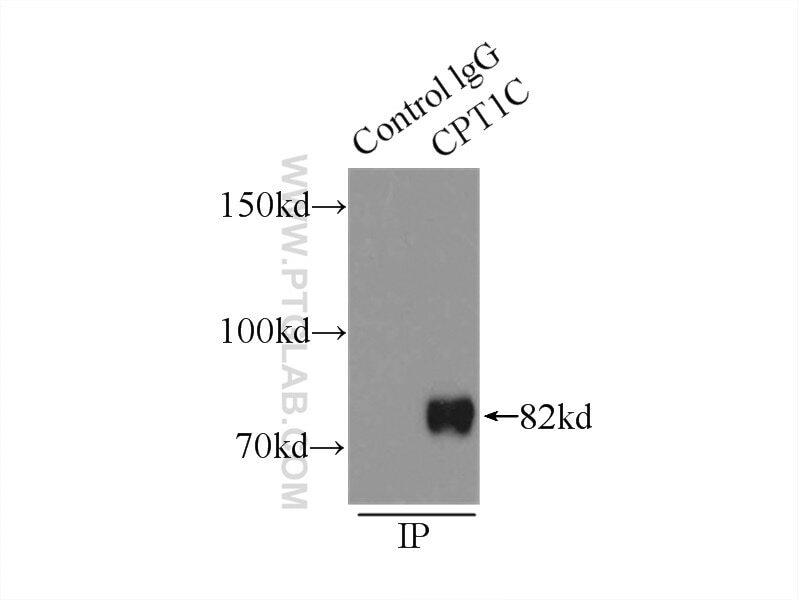 (PMID: 17018521 ) This antibody specifically recognizes CPT1C, and does not cross-react with CPT1A or CPT1B. Ghrelin effects on neuropeptides in the rat hypothalamus depend on fatty acid metabolism actions on BSX but not on gender. 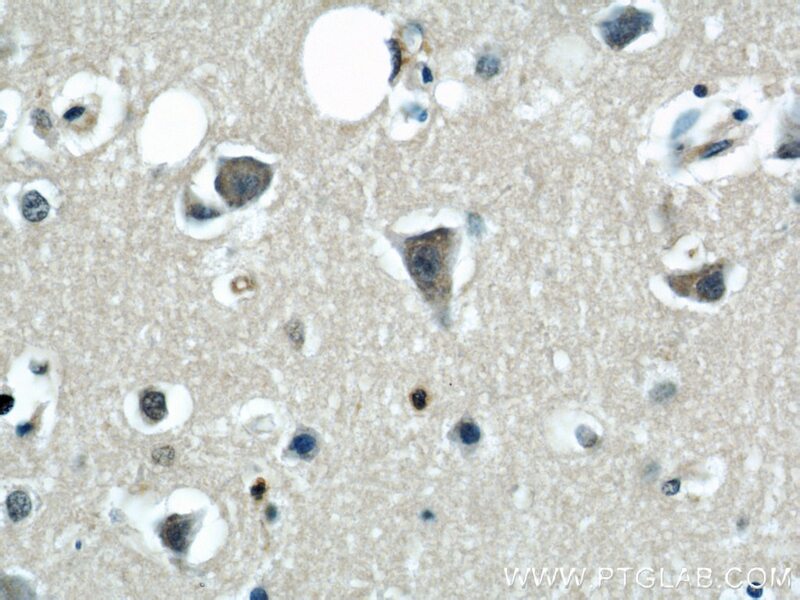 Influence of ghrelin and growth hormone deficiency on AMP-activated protein kinase and hypothalamic lipid metabolism. Important roles of brain-specific carnitine palmitoyltransferase and ceramide metabolism in leptin hypothalamic control of feeding. Pregnancy induces resistance to the anorectic effect of hypothalamic malonyl-CoA and the thermogenic effect of hypothalamic AMPK inhibition in female rats.